I planted the Red Clementine seeds that I got from Laaz, and they are all now about 2-feet tall except for one tree. That one seedling is producing leaves about 2.5 times larger than all the other seedling trees, and the thickness of its leaves are about 2.5 times thicker. At first it was growing as a dwarf, about 1/2 the height as all the other seedlings, However, one branch has just taken off, and its height is now twice as tall as the rest of the trees. This tree must have a different chromosome number than all the others. Can you post a picture, I would like to see it as I have 8 of those from the same seeds growing, 7 in ground and 1 in a pot. Most are about 2.5' tall but none showing the growth you are having. I'd suggest digging a shallow crater around that tree for watering purposes and laying some mulch to prevent evaporation and keep the soil moist without having to overwater. 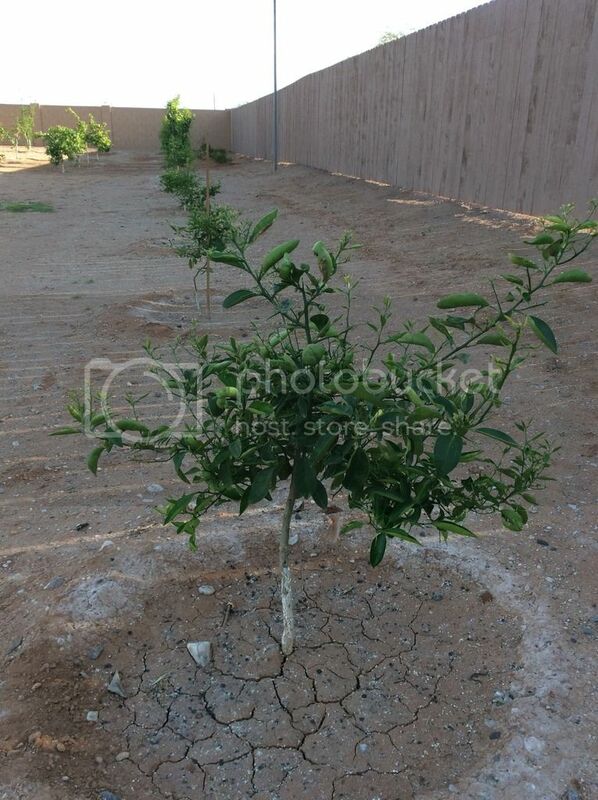 I bought three very small seedlings from Laaz late 2013 that he said were red clementine seeds he had sprouted. I gave two away and one of those died. Both remaining bushes decided to bloom a little for the first time this year. The one I kept is in a large concrete planter, or pot, and the tree is 6 feet tall and very thorny. My specimen is very dense and vertical. It’s still blooming a little bit but the earlier blooms don’t seem to have stuck. They were all very small blooms. I can attest that seeds are not my favorite way to propagate, that’s way too slow for a soon to be 67 year old ! I’m also afraid that clementine seed are not true to the fruit they came from. Hopefully the fruit will be interesting if I ever have any. I hope to get my red clementine out of its pot and into the ground this summer. Maybe it will have lots more blooms next year. I might have some fruit but I can’t see any possibilities from the blooms this year. The fruit can be very hard to spot when they are the same color green as the leaves and stem.